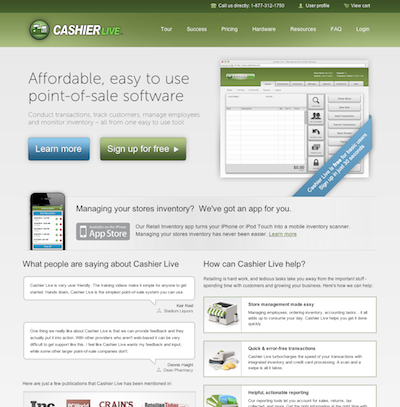 POS software and hardware solutions are available through Cashier Live. With Cashier Live, it’s easy to know more about your customers, popular products, & inventory through a simple reporting suite that’s accessible remotely. Cashier Live enables clients to conduct transactions, track customers, manage employees and monitor inventory – all from one easy to use tool.